When I had the thyme whipped cream from The Dessert Truck I was amazed how good it was. I never thought of putting herbs into whipped cream. So when I was making the apple pie for Thanksgiving I wanted to do something similar. After googling around I decided to use sage and make sage whipped cream. But all the “sage whipped cream” I found on the internet was just adding pieces of sage into the cream. I wanted to incorporate it more so I decided to boil it. I poured in a pint of heavy cream into a pot. Wasn’t sure how many sage leaves to put in but I put in 7. Turned on the heat to medium-low. Give it a good few stirs every so often. When it gets to a rolling boil, let it simmer for couple more minutes. Take it off the heat, pour it into a bowl/container and let it cool. Take out the sage leaves too. As it cools, the cream will form a top layer of skin. Just skim it off. If you’re using this later, put it in a container and into the fridge. Before actually whipping the cream, put a metal bowl and the whisk into the freezer and let them freeze up really good. Pour the cream into the cold bowl, add about 1.5 to 2 tablespoons of sugar and whip till stiff peaks form. Don’t over whip, no one likes lumpy whipped cream. I was surprised how good this was. 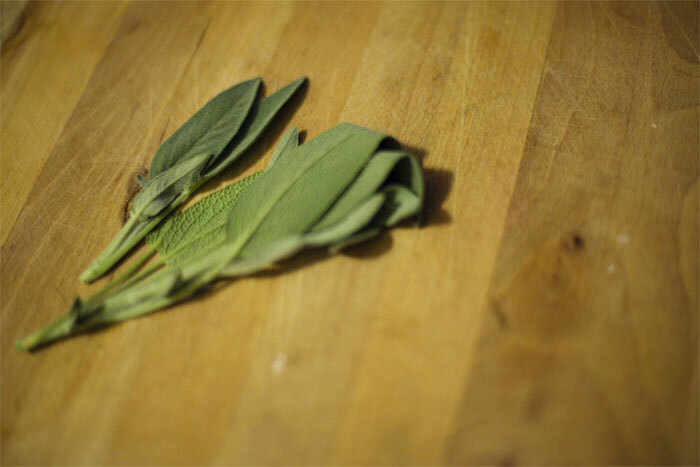 The flavors of the sage really came through and at the same time wasn’t weird or too crazy. 7 sage leaves were definitely the right amount. Enjoy!